I'm a mom and those moments the hubby says, I got the kids, is heaven! It would be better if I could hear what I'm trying to listen to or just music while I write. But instead I hear what I have on, plus the wonderful sounds of a house with 3 dogs and 2 crazy kids. Mommy Moments with Abby's review of Plugfones: So, these are great ear phones. They are noise cancelling which means that those noises that annoy, interrupt, or cause us to loose our hearing are blocked out. They work just like ear plugs. What mom wouldn't love a pair of ear plugs now and again? Add to that, these cut out those noises, but allow whatever your trying to plug into and hear through. This lets you listen to exactly what you are trying to listen too without interruption from other noises. I wasn't excited about the colors of these, yellow and blue don't match much as far as color combinations go, but you don't really see the yellow once inserted. So, if you are hiding in your closet trying to watch the latest Grey's Anatomy without waking others or being found out by the kids, these will let you do so while still hearing all the juicy details of the latest tragedy! Check these out for yourself on facebook! Comfort unmatched! Customers report 10-12 hours wear time with no sore ears due to the soft and pliable earplug. Absolutely will not fall out! The ergonomic earplug stay put, even during rigorous exercise. You can use Plugfones for factory work, lawn care, motorsports, air travel, students and more! 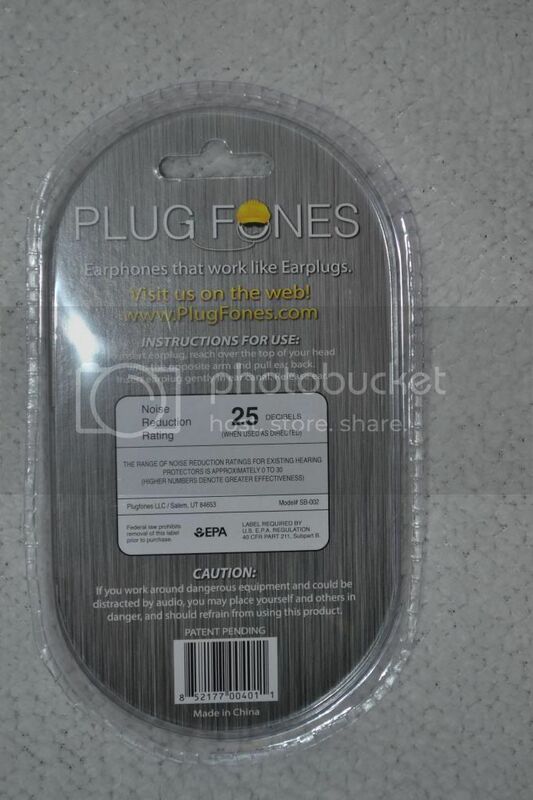 Plugfones have undergone rigorous testing according to the American National Standards Institute (ANSI) specifications, by EPA approved testing facilities and have received an Noise Reduction Rating (NRR) of 25 dB giving you the benefit of listening to your music while benefiting from certified hearing loss prevention when used as directed. Plugfones are great for factory workers who labor in loud environments, by preventing hearing loss while also allowing you to listen to your favorite audio. This always allows for a much more enjoyable shift. Be sure to follow all of your workplace hearing protection policy rules and use Plugfones only as directed. Plugfones also work great for race fans who want to tune into the action at the track without cranking the volume on their regular headphones too loud. These earplug earphones act as hearing protection headphones or ear protection headphones to ensure hearing loss prevention. Plugfones are perfect for any place where there will be a lot of noise. 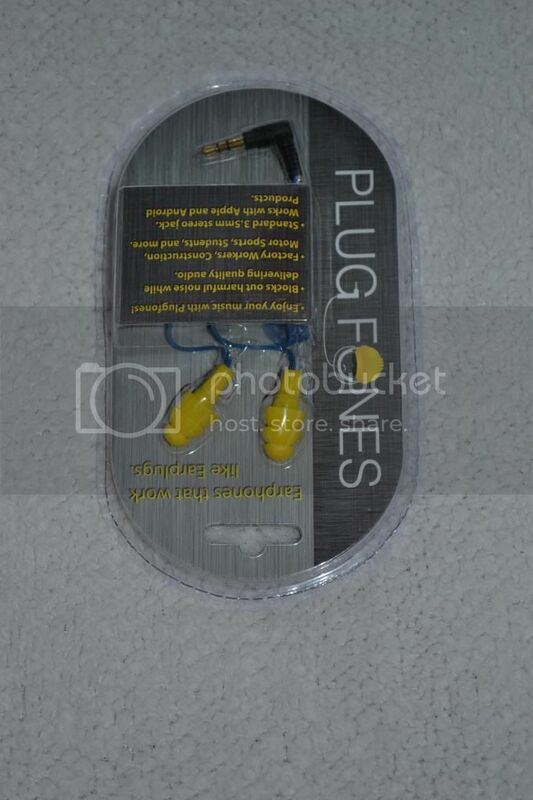 Use where ever you want your earphones to look like earplugs. These headphones that work like earplugs are great for mowing the lawn or working in your home shop or vacuuming because Plugfones are earplug earphones that provide hearing loss prevention while still being awesome headphones. Visit our products page to buy or select a pair from the right hand column of this page. We want to get a pair of Plugfones in everyones hands because once someone tries them they don't go back to their old headphones. Word of mouth has started to spread and we are selling thousands of pairs a month on ebay and Amazon with no advertising yet at all. we would love to send out a pair for your review. We would love to link back to your blog from our site which enjoys 7000 unique visitors a month.